In the past year SFWA has seen several examples of magazines contemplating monetizing the writers submitting work to them for publication. Strategies for doing so have ranged from the subtle to the overt, including submission fees, fees for personalized feedback, statements that contributors who are subscribers will get preferential treatment, and other charges. One tenet that SFWA holds to strongly is Yog’s Law, the idea that money should always flow towards the writer. The organization strongly condemns any practice where a magazine takes money from a writer and allows it to or implies it will affect the reception of the writer’s submission(s) in any way. At the same time SFWA understands that publishing is rapidly changing and that running magazines and publishing houses is expensive. We urge publishers to consider alternate methods, such as crowdfunding efforts like Kickstarter and IndieGoGo, subscription models like Patreon, bundles, voluntary donations, sales via online retailers, and similar methods. SFWA wants to underscore their willingness to assist publishers in adhering to ethical behavior by providing resources such as model contracts, guidelines, and statements like this one. Our Nebula conference, which is open to the public, offers members of the community a chance to connect with representatives from Amazon, Kickstarter, Kobo, Patreon and other organizations that may be of use in developing ethical funding models. Publishers who are SFWA affiliate members also have access to SFWA programs such as the SFWA Outreach committee, the member discussion boards, member publications, etc. I welcome feedback and questions on this important issue. Thank you. As I have said elsewhere, I understand the need for subscriptions and subscribers to help keep magazines afloat, but I am not comfortable with being blackmailed to make a sale. I’m glad that genre writers have the SFWA watching out for them. The practice hasn’t become too widespread in SFF, but if one looks at magazines in the mainstream/literary world, a very large–and growing–percentage have fallen into the “reading fee” model. I suppose they won’t stop doing it any time soon. There are many, many dreamers out there who haven’t heard of Yog’s Law… the same people who keep the vanity presses in business. But I assume that, like vanity presses, more established writers will steer well clear. Hi, Rob Dircks here. 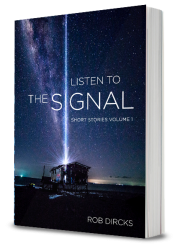 I’m the Audible bestselling author of Where the Hell is Tesla?, and I’ve been writing and narrating these stories since 2016 on my podcast, Listen To The Signal. But now I’ve made them available ONLY here in this book. 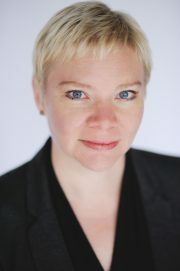 Kate Heartfield is the author of Armed in Her Fashion and the two Alice Payne novellas. She was nominated for a 2018 Nebula Award in the novella category for Alice Payne Arrives, and in game writing for The Road to Canterbury. She lives in Canada.